This natural room spray is ideal for home, office or car. A relaxing naturally earthy aroma of blended essential oils based on citrus, eucalyptus, bergamot and lavender to provide tranquility. 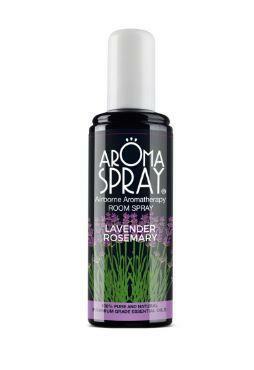 Absolute Aromas Relaxation room spray can also be spritzed on your pillow at bedtime in preparation for sleep. Discover more about the brand Absolute Aromas. How to use Absolute Aromas Relaxation Room Spray; Spray into the air for an instant calming aroma. Can be spritzed on the pillow before sleep. Ingredients; Ethanol Denatured and Citrus Tangerina (Tangerine) Peel Oil, Citrus Aurantium Bergamia (Bergamot) Fruit Oil, Eucalyptus Radiata Leaf Oil, Lavandula Angustifolia (Lavender) Oil, Citrus. Contains: Aurantium Amara (Petitgrain) Oil, Vetiveria Zizanoides (Vetiver) Root Oil, Salvia Sclarea (Clary) Oil, Cananga Odorata (Ylang Ylang) Flower Oil, Citrus Aurantifolia (Lime) Oil, Litsea Cubeba (May Chang) Fruit Oil, Pogostemon Cablin (Patchouli) Oil, Elettaria Cardamomom (Cardomon) Seed Oil, Thuja Occidentalis (Cedar) Leaf Oil, Eugenia Caryophyllus (Clove) Bud Oil, Hay Oil, Ormenis Multicaulis (Chamomile Maroc) Oil. Caution; Spray away from furnishings and naked flames. Do not take internally. Keep away from skin, eyes, children and pets. Packaging; Recyclable glass bottle. Check local recycling for pump atomiser.